SMSL SA-36A Pro Using STMicroelectronics (ST) TDA7492PE as the core, uses EPCOS, Panasonic, TDK, VISHAY, PYCOS and other high-grade fever accessories. Uses advanced aluminum enclosure and pull pattern oxidation process. It has a real 2*20W Stereo design of the circuit. 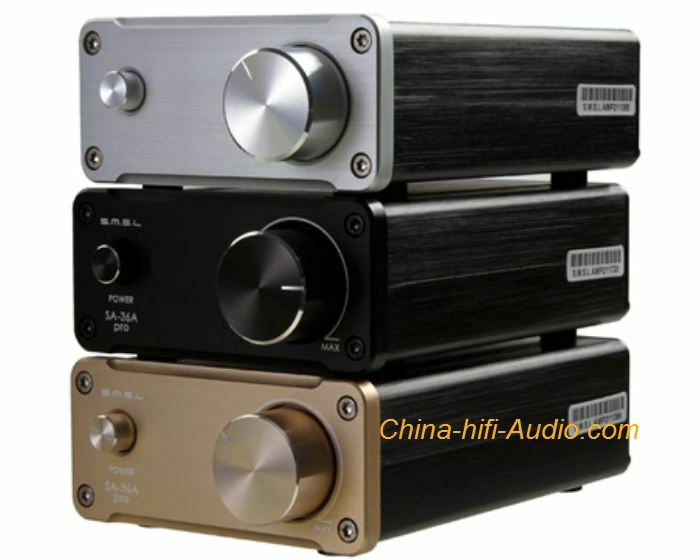 RCA gold-plated lotus signal input and 4-wire signal output SMSL SA-36A uses the real fever & Genunie Parts Manufacturing.